Knauf Exeed Insulation ... facilities in the UAE. 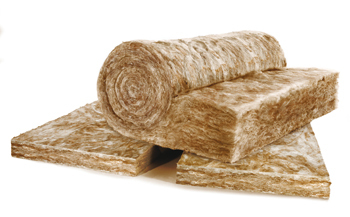 Knauf is taking a leading role in the region by introducing technology that produces sustainable glasswool insulation which improves indoor air quality. Knauf Exeed Insulation, a leading producer of insulation materials, is eyeing a larger share of the regional market, thanks to having introduced new technology which has positioned as the only UAE manufacturer that offers glasswool insulation with Ecose Technology. 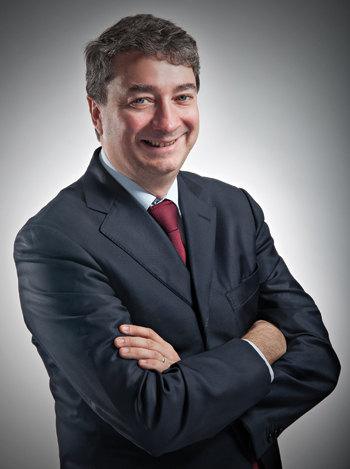 “This makes us unique in that we are the only producer of sustainable fibreglass glasswool insulation in the UAE,” asserts Daniele Cerutti, general manager of Knauf Exeed Insulation. Ecose Technology is described as a revolutionary new formaldehyde-free binder technology based on rapidly renewable materials instead of petro-based chemicals. The technology was developed for glass and rock mineral wool insulation, but is said to offer the same potential benefits to other products where resin substitution would be an advantage, such as wood-based panels, abrasives and friction materials. “Ecose is new in the region. For nearly 40 years, there has been no innovation in the insulation sector in this region, particularly in the glasswool sector. So we are innovating and pioneering Ecose in this sector,” says Cerutti. “Today, insulation is required for roofs, façades and partitions. Insulation in this region is not the same as that used in other countries,” he adds. Knauf Exeed Insulation is working closely with architects and engineers to promote its product in this market, he says. Ecose is claimed to offer a number of advantages over conventional insulation materials: it delivers a superior level of sustainability as it is bonded using a bio-based technology; and it improves indoor air quality and reduces workplace exposure and pollutant manufacturing emissions. He continues: “Our glasswool is not produced with phenol formaldehyde – that means it does not contain chemicals or artificial colours and is the most environment-friendly insulation material. This apart, glasswool products can be compressed in package up to a ratio of 9:1, he says. “The optimised packaging allows for a reduction in the usage of packaging material, space saving in storage, reduced energy consumption in transportation, thus providing significant overall cost savings and environmental benefits. Also, Knauf Insulation glasswool is made from up to 60 per cent recycled content glass and is 100 per cent recyclable,” he says. Germany-based Knauf Group started its insulation business in the 1970s through the acquisition of an American firm. The company has continued to grow ever since and is today one of the leading producers of insulation materials in the world. 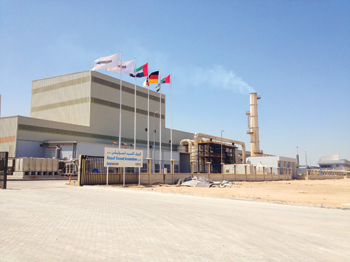 Knauf Insulation started its regional operations in Abu Dhabi in April 2013 as a joint venture with Exeed Industries, part of National Holdings which is an important Abu Dhabi group involved in a wide range of activities. Cerutti says although Knauf Insulation began operations in the region recently, customers have started to recognise the brand and also the fact that it has an edge over its competition since it is the only producer of glasswool in the GCC that has proprietary technology. “The other producers of glasswool insulation, mainly Gulf countries, have to borrow knowledge from others. They are often dependent on somebody else. We do everything in-house,” he says. The company serves three market segments – HVAC (heating, ventilation and air-conditioning), residential/commercial and the pre-engineered buildings. Glasswool insulation with Ecose... revolutionary new technology. “HVAC is the most important segment for our business, followed by the residential/commercial segment in view of the large developments taking place in the UAE with Expo 2020, and regionally in Qatar with Fifa 2022 and Saudi Arabia, where there are some huge projects under construction. We do all kinds of projects, be they large, medium or small,” says Cerutti. Some of the projects the company is involved with include the Jabal Omar Development in Makkah and the expansion of the Prophet’s Mosque in Madinah, both in Saudi Arabia; and the Midfield Terminal at Abu Dhabi Airport in the UAE. In addition, the company has been involved with a number of hotels and hospital projects in the region. Commenting on business, Cerutti says: “Last year, we grew 85 per cent over 2013 and expect the same this year. Our market share is 10 per cent. We have big ambitions and want to be the leader in the UAE and also want a significant market share in the other GCC countries like Saudi Arabia, Qatar and Bahrain. “Currently, our focus is on the GCC market; we want to do well here, particularly in the UAE. We want to give Knauf the same position it enjoys in other markets – that is the number one for offering sustainable solutions. Knauf Exeed Insulation has an office in Jeddah, Saudi Arabia, and one in Doha, Qatar, while it has distributors in Bahrain, Kuwait and Oman. The company is also looking at other markets like the Levant and Africa, India and Pakistan. The Knauf Group, which was founded in 1932 in Germany, is today a €6-billion ($6.82 billion) company and one of the biggest producers of building materials.